Pat Gelsinger, VMware CEO, reported on the Q4 2016 earnings call that VMware NSX has more than 2,400 customers exiting 2016. We continue that momentum by announcing new releases of our two different VMware NSX platforms – VMware NSX™ for vSphere® 6.3 and VMware NSX-T 1.1. 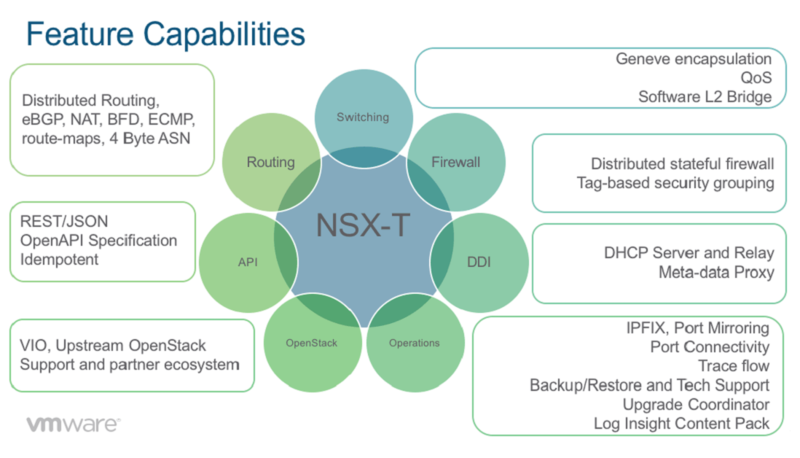 NSX-T , perhaps the more strategically important of the two, offers networking and security management for non-vSphere application frameworks and multiple KVM distributions, as well as OpenStack environments. . Eventually, the company plans to make it work with open source-based container frameworks including Docker, but it has revealed no specific time frame to deliver that capability. VMware last week said NSX is expected to generate US$1bn of revenue in 2017, making it a key part of the company’s growth plans and showing that the $1.26bn it committed to acquire Nicira was money well spent.